NEW YORK (CNNMoney) - Intel's CEO says the tech industry has done a "remarkable" job responding to the embarrassing computer chip flaws that caused alarm around the world. Speaking at the Consumer Electronics Show (CES) in Las Vegas on Monday night, Brian Krzanich thanked other firms for their efforts to protect customers' data following the disclosure of the major vulnerabilities known as Spectre and Meltdown. "The collaboration among so many companies to address this industry-wide issue, across several different processor architectures, has been truly remarkable," Krzanich said. "Security is job number one for Intel and our industry." But he didn't offer an apology or an explanation of how Intel and other leading chipmakers failed to spot these problems that have been around for decades. The fear is that hackers could take advantage of the vulnerabilities -- in chips known as processors -- to steal data. 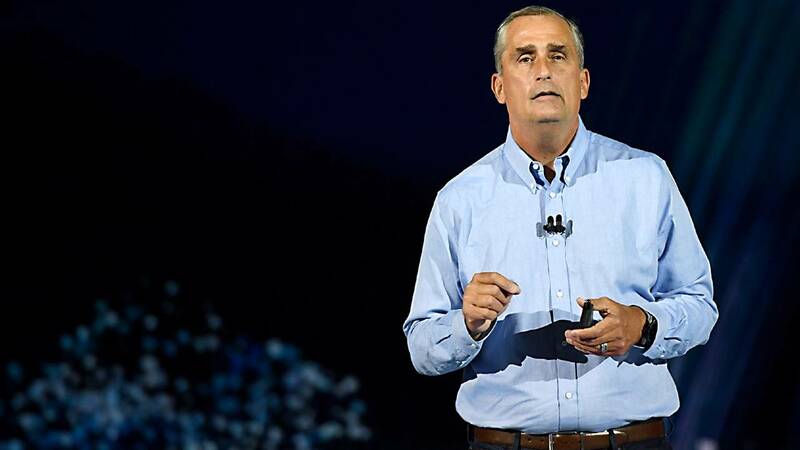 Krzanich repeated the advice that people should apply software updates as soon as possible from companies like Apple and Microsoft that supply the technology that uses the vulnerable processing chips. Since researchers revealed the Spectre and Meltdown vulnerabilities last week, Intel has been trying to convince consumers and investors that the chip flaws are being quickly addressed and fixes aren't slowing down computers. But some security experts have disputed those points. Intel has said that for "the average user," the performance impact on products using processors made in the last five years "should not be significant and will be mitigated over time." Krzanich said Monday that the effect on performance depends a great deal on the work the processors are being asked to do. He also said that for processors and products introduced within the past five years, Intel expects to issue updates for 90% of them within the week, and the rest by the end of January. Intel and ARM processors are affected by Meltdown, and virtually all computing systems are affected by Spectre. There is no evidence so far that hackers have maliciously exploited these flaws. Apple has released Meltdown and Spectre fixes for iOS and macOS. Google also released mitigations for many of its products and said a fix for its Chrome browser will be available later this month. Microsoft, meanwhile, has issued updates for its Windows and cloud products. Amazon has also issued fixes for its cloud servers. Researchers alerted Intel to the chip flaws in June. On October 30, before the public knew about the vulnerabilities, Krzanich said he would sell 245,000 of his shares by November 29, leaving him with 250,000, the minimum he's required to hold. The company told CNNMoney the stock sale was not related to the security issues. Intel shares are down about 4.5% since news of the chip flaws first emerged.